Does Rav Itche Meyer Morgenstern have any advice on how to turn on to daven with deveykus from a siddur in a minyan if a person is uninitiated into the kavannos of the Arizal? As an example, the peirush Keser Nehora from the Berditchever Siddur gives one all sorts of "cues" about ahavah ve-yirah but provides little guidance how to tap into these religious emotions aside from instructing us to concentrate on these concepts. It was Purim a few years ago and I was at Rav Morgenstern's table when a few bochurim from Ohr Sameach arrived and asked him to say something in English. I will always remember his words to them: "Now that Artscroll had produced a full Shas in English, there are no excuses. We must fulfill the dictum of shivisi Hashem l'negdi samid. Every person must be 'thinking in learning' at all times. This just takes some perseverance. As you get used to it, it gets easier. For someone who understands the deeper meaning of things, everything he encounters immediately recalls to his mind to dveikus to Hashem. This person merely needs to have an interest in thinking about Hashem. For the uninitiated this takes much more effort but it is our obligation…"
But I did ask Rav Morgenstern your question. It was only at around one in the morning that I was finally ushered into his study. The first thing we discussed was your question and my own tentative take on it. I said, "Virtually every one of the shiurim I have translated emphasizes a different path to forge a closer relationship with Hashem while davening (or doing anything else for that matter). The shiurim definitely enable even the uninitiated into the kavanos of the Arizal to daven with greater dveikus. When one learns the avodah that underlies the Torah of the Arizal, it purifies a person so that he can more easily draw ever nearer during davening or anytime, whether he focuses on the Arizal's kavanos or not. One who understands and focuses on what the kavanos mean starts to realize the very powerful effect every prayer has on the upper worlds. This realization engenders inspiration by its very nature. That is how the Magid explains why some learn the Arizal even if they don't think about the kavanos during davening. This learning flames one's heart to true dveikus since he starts to realize ad heichan hadevarim megi'im—what are the full ramifications of his actions!" Rav Morgenstern answered, "People often make an error about this subject. Many don't realize that the main thing is the da'as. If one's da'as, on'e mind, is rectified, everything is easy. Rebbe Nachman says in Likutei Moharan I:5 that one has to guard his mind from the chametz of illicit thoughts, since it serves as the foundation of all impurity. This is why the Vilna Gaon writes that thought is part of the world of Asiyah, Action. When your da'as is rectified, your actions and ability to concentrate and connect during davening follows suit. This is a big focus in the Torah of the Rashash as well: correcting your thoughts." Rebbe Nachman writes that mental confusion (which is often the echo of earlier thoughts and obsessions) tends to haunt us during davening, making it very hard to concentrate. So the first thing one has to do is to purify what he is thinking about during the day. I think what Rav Morgenstern said about one who understands a little regarding the deeper meaning of things is very telling. The more one learns deeper concepts and ideas correctly, the more he feels the imminence of Hashem in every experience. Surely this will help his davening as well. 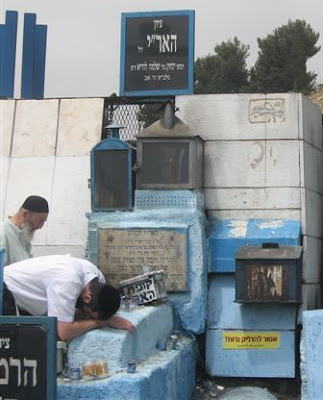 I would like to cite two short excerpts from the Rav's shiur on Pikudei to show what I mean: "The first step… is prayer, especially Shemonah Esrei. One who feels the sweet taste of Shemonah Esrei to such an extent that every one he recites is a different and deeper experience will also find the deep reasons for all mitzvos. The ability to access the inner dimension of mitzvos depends on one's tefillos. Even one who knows the reasons behind the mitzvos can fulfill them with true dveikus only in the merit of prayer… One who toils to find the light while learning Torah is able to access the beauty of tefillah. Although tefillah is the source of connecting through Torah, the details of how to attain the light of connection to Hashem with dveikus can only be found in the Torah." Many people, even those proficient in Hebrew with excellent learning skills and broad knowledge of Chassidus, fail abysmally when they try and learn the Arizal. One needs to have a lot of patience and humility when learning this Torah. You also need to concentrate on connecting to Hashem through the learning. It is important to know that it will take a while for everything to fit together, or to put it as Rav Morgenstern says so aptly, "You never start learning at the beginning in Kabbalah; you are always in the middle." Rav Yitzchak Moshe Ehrlanger told us in a shiur once that in order to learn Kabbalah, one must be able to "hang" things until everything starts to fit together. For English speakers I recommend the summary "Reishis Chochmah" which can be found in English at the TrueKaballah.com website here. There are many other good resources there as well. For those who know Hebrew, the "Masok M'dvash"—"Otzros Chaim" is a good choice. Although there are many other paths to understanding, learning "Otzros" is the surest. I would like to conclude with a story I heard from Rav Ehrlinger, "In shiurim, there are always those people who don't "get it" They ask questions that are irrelevant and are obviously not progressing towards understanding the Arizal's deep Torah. Once I had such a person in my weekly shiur for a while. He missed a shiur and I figured he may have given up as many such people do. However, the next week he was back. To my delighted surprise he was completely changed. I couldn't believe it! Every question was right on target. He was obviously getting it in a meaningful way. Although I never pry, I couldn't resist asking what the source of his newfound understanding was. His answer revealed a very important yesod in succeeding in unlocking the deep Torah of the Arizal. "He said, 'I saw that I just was not getting it and I didn't know what to do. I decided to take a weekend off and go to Meron to spend the entire Shabbos tearfully begging Hashem to let me grasp the pure Torah of the Arizal in the merit of the holy Rashbi. I guess my prayers were answered…"
His note about "hanging" things until they fit together is correct. The Rebbe gives a similar advice, saying that one has to mark a hard place for himself, and move on further, and eventually the difficulty will be resolved as one will gain more base knowledge. (He in particular gave that advice to Reb Noson for learning the Kisvey Ari za"l). Obviously if one can ask someone to clarify it - it is very good. Rav Erlanger gives some more ideas about approaching the learning of Kabolo and Chassidus in his main work - Shivo Einaim. He emphasizes the importance of learning the sifrey yesoyd in Kabolo, i.e. those of the Rama"k for example. Often, people jump into learning Ariza"l without gaining base knowledge about Kabolo, thus having many difficulties with understating. The answer of R' Morgenshtern about the daas just gives the idea of what to work on (purifying one's thought), but it really doesn't answer the original question, how is one to reach dveykus? And really there is something here, that makes it difficult to answer. Because the ultimate Daas itself is dveykus (as it says - Odom yodo es Chava). I.e. Daas, as a mystical perception is closely related to dveykus. Therefore the above answer can sound - "In order to have dveykus - have dveykus". So it is like a circle, where one has to find an entrance. I have a feeling that there is another issue involved here. I.e. these things can't be formally presented and verbalized. Therefore one is required to come to them himself in his personal experience. (This can be the meaning of what Chazal say in Chagigo that maasey merkovo can be taught to one who is "hameivin midaytoy", i.e. from his own experiential daas and dveykus). For one it can be different from another. Like one mekubol in Europe said before the war - "There are hundreds gates to Kabolo, and one has to find his, because if he'll try to enter in other one, he'll not succeed". Therefore there might be no clear verbal answer to such question. Another key point involved here is shimush chachomim, because one can learn from tzadikim in different ways, not always in verbal form. Rav Morgenstern's answer was that merely learning this limud brings to da'as as I wrote from the Magid. Learning this chochma with a desire to come close to Hashem has tremendous power to purify. We live surrounded by physicality. The surest way to transcend this is with the highest medicine of deep kabala along with chasidus and sifrei machshava (such as the Ramchal) which teach us how to approach and relate to these deep teachings. Da'as is not merely theoretical. Da'as grows out of a deep connection to holiness which is strengthened by thinking about and enjoying Torah at least niglos and preferably deeper Torah as well. Even learning these inyannim purify. The Rama (virtually) begins Shulchan Aruch: shivisi Hashem l'negdi samid. The Be'er Heitiv and Mishna Berurah, bring the Arizal who says that focus on Hashem's name brings yirah Sounds quite practical to me. I don't think there is anything theoretical about this. I almost included the following in the post: "When I later saw the words of Rav Wolbe, zt"l, advising a young man how to cleave to Hashem at all times, I was reminded of that Purim. "First of all, this is a very high level to aspire to and takes much toil. This level entails always thinking about torah concepts. But know that you must prepare many since it is difficult to think about the same idea for too long. If you think overly much about one concept, it will often become stale and uninspiring. You must have enough interesting questions or concepts prepared to take you through the entire day when you are not sitting over a sefer…"
It is just hard to do, in niglah especially. In nistar you just need a willingness as Rav Morgenstern said. Of course, you are correct that Rabeinu gave Rav Nosson virtually the same advice regarding Kisvei Arizal, but I knew an extremely erudite Breslover who knew shas and poskim but couldn't get the Arizal. He knew the sichah but didn't realize that unlike everything else in his experience (including chasidus,) he will not see how even what he has understood, fits with anything else he knows and understands, period. No matter who he asks or how hard he is willing to work, he is back in cheder in terms of this chochma. This Chochmah is designed to be incomprehensible until you have worked hard for a long time. Unlike Shas or shulchan aruch where you can ask and work and figure out what it means on the spot and how everything fits. But the Arizal is different. You will not be able to grasp the Arizal if you don't have incredible patience and humility. If you do learn this patiently with humility and a fiery yearning, there is no more pleasurable limud even while you don't yet understand. You connect with Hashem on a very personal level; could there be any more practical advice than that? The deep connection with Hashem through Nistar is also noted in Yoysher Divrey Emes. But one has to have this proper intention in limud, i.e. not just to gain knowledge, but to connect to Hashem. It is brought in Shivchey Baal Shem Tov, that when the Maggid came to the Baal Shem for the first time, he asked him to learn a piece from one Kabolo manuscript (where it had many paragraphs starting with 'Omar R' Yisroel [some versions bring Omar R"Y] and different malochim were mentioned). After the Maggid learned it and explained, the Baal Shem Tov said that it wasn't correct. The Maggid replied, that if Baal Shem Tov has a better explanation, he can explain it. Baal Shem Tov asked the Maggid to stand up, and red from the seyfer, thus causing all those malochim to reveal themselves. Afterwards Baal Shem Tov explained, that while the meaning the Maggid explained correctly, the was no chiyus and neshomo in his learning. (The Keser Shem Tov brings this story slightly different, mentioning Kisvey Ari za"l, and not obscure Kabolo ksovim). Reb Gedalya Kenig once noted, that from here we can see how one has to learn Kabolo (i.e. connecting to the inner essence of Toyro, and not just as an intellectual pursuit). The same idea is brought several times in Sheeiris Yisroel (Vilednik). Wish these rabbeim would give their shiurim in a modern, living language, like yeshivish or Hebrew. I get RYMM's parsha pamphlets, but learning from a real person often helps. I've been listening to R Ephraim Goldstein via a site called something like Jewish Heritage, teaching a sefer that's a sort of kitzur of Otzros Chaim. He goes pretty fast, it takes a bit of work to try to keep up, but I've been reading Otzros Chaim as well, the nice modern small one with pictures, which helps visualise what R Goldstein is talking about. For Chabad chassidus, R' Abba Paltiel teaches in English/Hebrew, daily video shiurim via a blog. I think he's currently doing The 72, as they call it, the series of talks by the Fifth Rebbe given in 1912-14, where he explains the kabbalah underlying Chabad chassidus.